OM Jamaica, established in the Summer of 2011, is committed to partnering with the Jamaican church to fulfill this pledge. It has been stated that Jamaica has the most churches per square mile and a rich spiritual heritage . We have now taken the baton and are running the race...taking the Good News to the 2.7 Billion of the world’s 6.8 Billion who have never heard the name of Jesus. 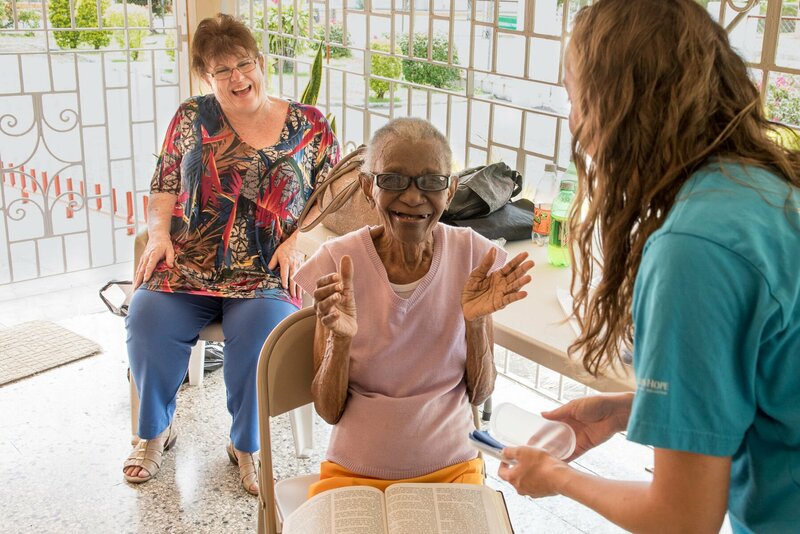 Kingston, Jamaica :: Volunteers bless elderly residents with new reading glasses while visiting care homes on the island.